The magnitude of the diet’s benefits startled experts. The study ended early, after almost five years, because the results were so clear it was considered unethical to continue. To me, that’s pretty convincing. (When was the last time you heard about a startled expert?) So, here’s the upshot: If you want to increase your chances of a long and healthy life, you need to eat (1) more stuff that you would order if you were out to dinner with your fitness trainer, and (2) less stuff that you would eat by yourself on the couch watching Homeland re-runs. 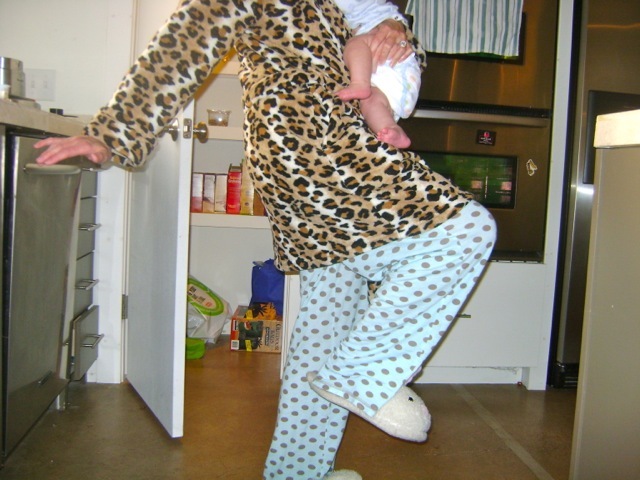 Fortunately, things that you might eat at odd hours while dressed in your leopard robe and bunny slippers are permitted . . .
Not sure where to begin? 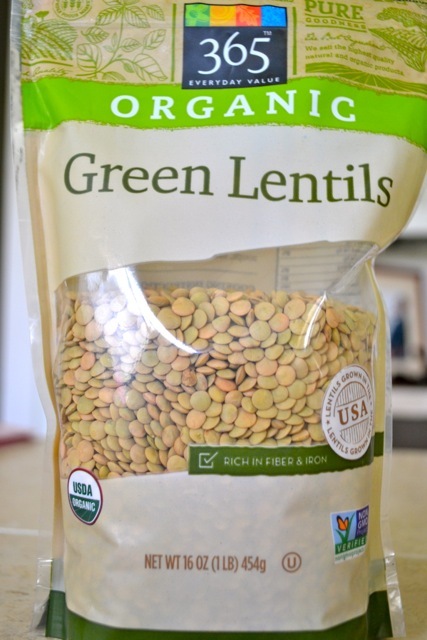 This easy recipe for lentils is a great place to start. 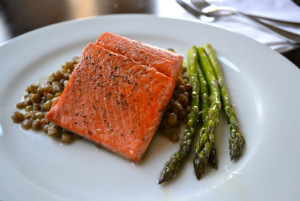 Enjoy the lentils however you wish — maybe as a side dish, or main course with rice — or like we did, alongside seared wild-caught salmon and roasted asparagus. 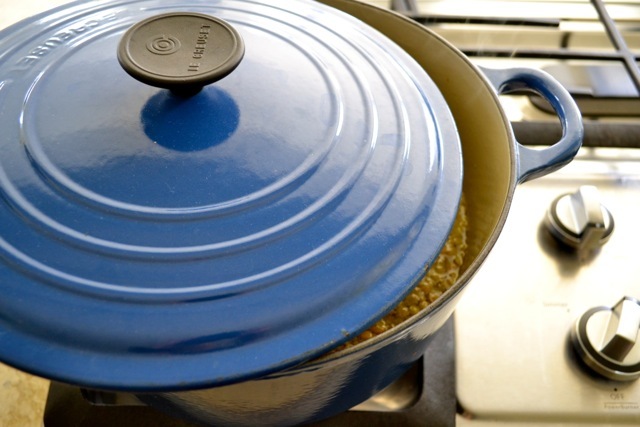 In a large pot, heat the olive oil over medium heat. Add onion, garlic, and carrots; stir. Season with salt and pepper. Cook, stirring occasionally, about 3 minutes. Add the bacon. Continue cooking, tossing occasionally. You don’t need to completely cook the veggies or the bacon; this initial cooking is just to get some flavor going. 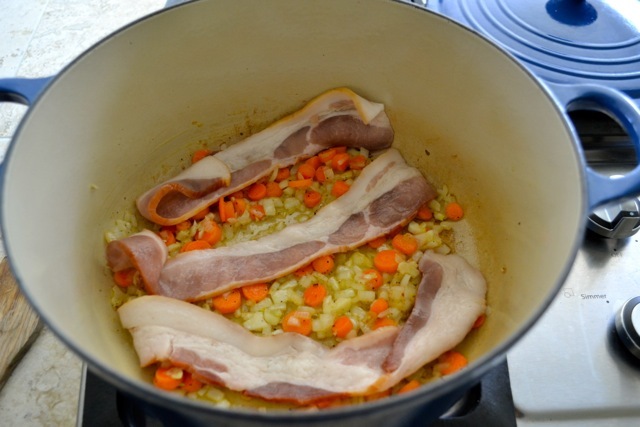 When the veggies and bacon start to brown, add the lentils. Then add the water and the bay leaf. Season with salt and pepper. Stir to combine. Cover and bring to a boil. 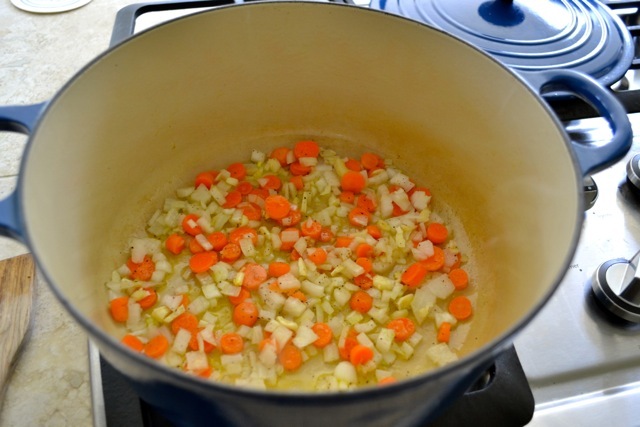 Then reduce the heat to low, cover with the lid ajar, and simmer for about 25 minutes. 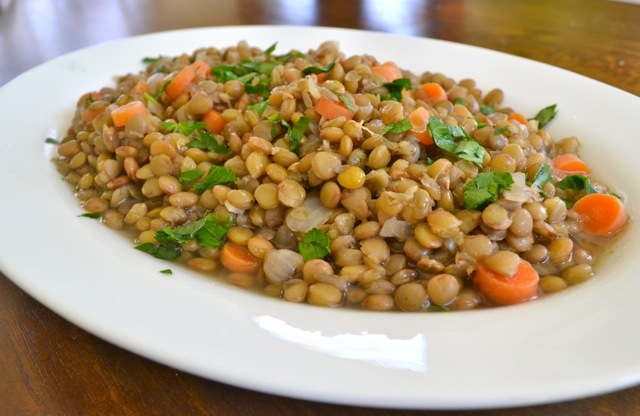 Test the lentils for desired seasoning and tenderness. Add more salt and/or cook longer if needed. 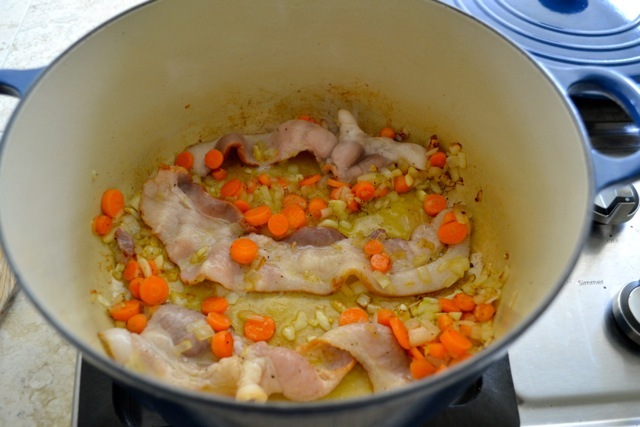 Remove and discard bacon and bay leaf. 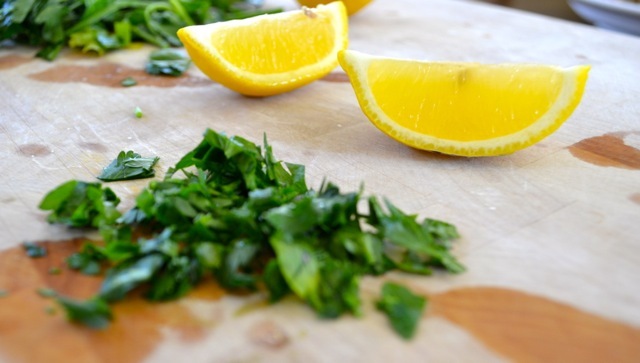 Get your chopped parsley and lemon wedges. 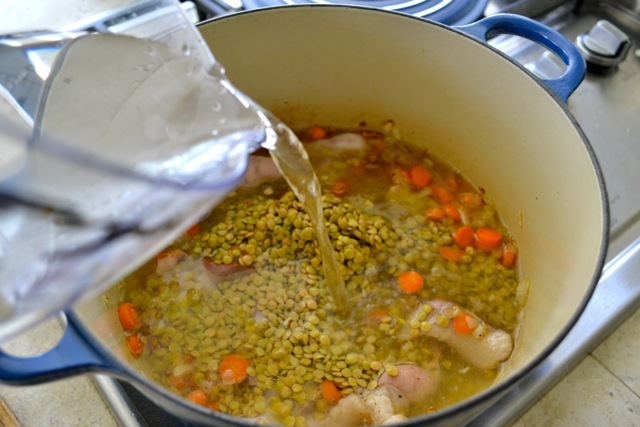 Using a slotted spoon, transfer the lentils to a shallow serving bowl. 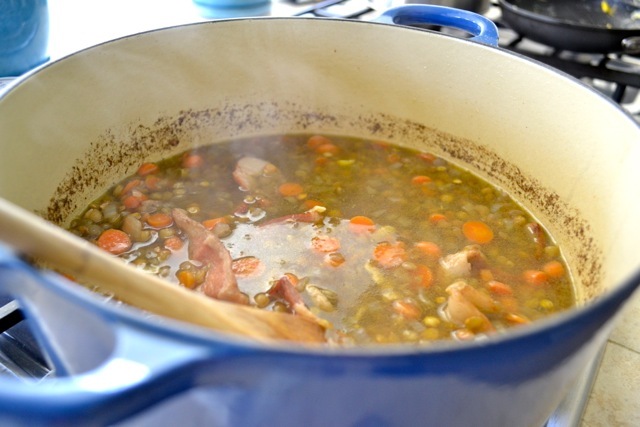 (There will be quite a bit of liquid in the pot. 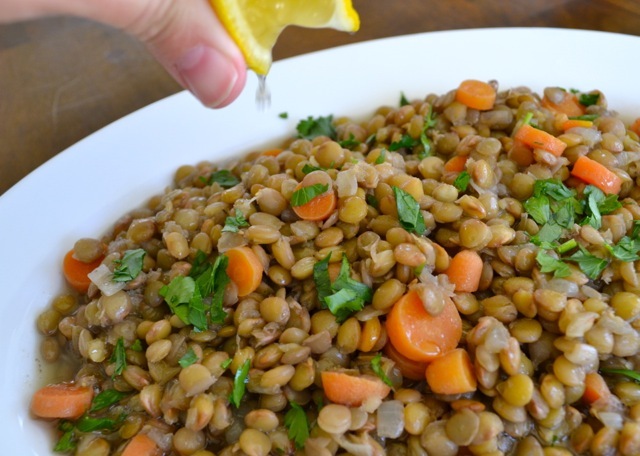 Unless you want to eat the lentils as a soup, the slotted spoon will help you avoid getting too much liquid in your serving dish.) 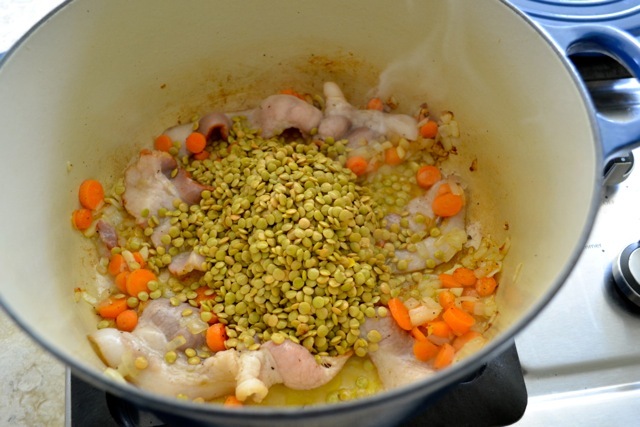 Sprinkle the parsley over the lentils. Then squeeze on 1 wedge of lemon. 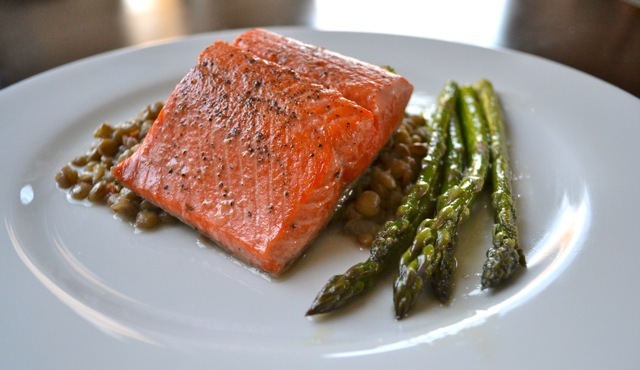 For a full Mediterranean meal, serve the lentils like we did: Under seared salmon and alongside roasted asparagus. It was delicious!